Rabbi Kaplan (Born in Koidenov near Minsk) was an active Askan in Brownsville, he was of the founders and directors of the large Talmud Torah of Stone Street. He also helped founding the Jewish Hospital. 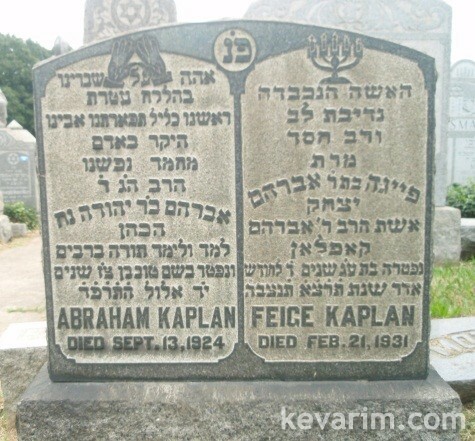 There was a Rabbi (Revrend) Noach Kaplan who published severel books, who was also a Kohen, perhaps they were family related. Rev. Noach was a badchan, not a rav. Kaplan means priest in Russian or Polish, and is a common name between Kohanim.